We are two weekends into August already so lets take a look at some recent Striders results, starting with parkrun on Saturday 5th August. Six different parkruns were visited on the first Saturday of the month and we start the round-up at Woodhouse Moor where Rob Earl and Jen Carne visited the Leeds based event where they recorded times of 19:22 and 28:59 respectively. At Harrogate, Sean Brennan (20:35) headed a Striders group of five. He was joined by Mark Shelton (27:10), Rob Charlesworth (27:12), Carol Lane (29:06) and Dawn Richardson (48:07) who was undertaking tail runner duties. Striders took the 1st male and female places at Catterick. James Wright clocked a parkrun PB of 18:04 and Nicola Carter followed in 21:29. Georgina Townsend also made the trip up North but had to pull out after two laps due to injury. Derek Calvert headed East to visit Dalby Forest parkrun for the first time, stopping the watch on 22:27. Bill Kirkpatrick was the sole Striders representative at Fountains Abbey, setting a time of 34:26 in the stunning surroundings of the Abbey grounds. Finishing the parkrun roundup for the 5th is a result from the ‘Longrun Meadow’ event. So where is that I hear you ask? 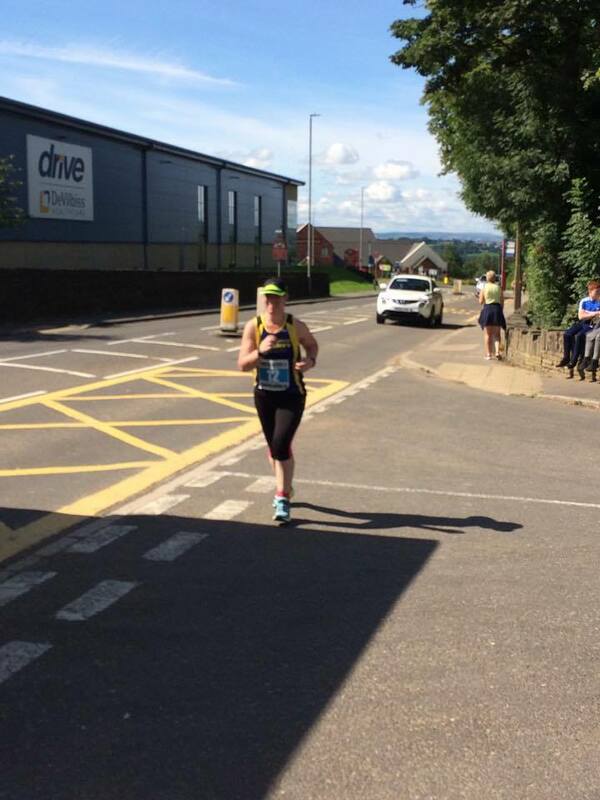 Well it’s in Taunton and was taken on by Christina Tremayne who finished in a time of 32:42. A great bit of parkrun tourism! One of the biggest events on the local running calendar, the York 10k, took place on Sunday 6th August. 12 Striders headed down the A59 to complete the event which forms part of the Run for All series. Conrad Garcia headed the Striders contingent to complete the course in 44:48. Lisa Harrison was next down the finishing straight at York Racecourse with a time of 52:54. 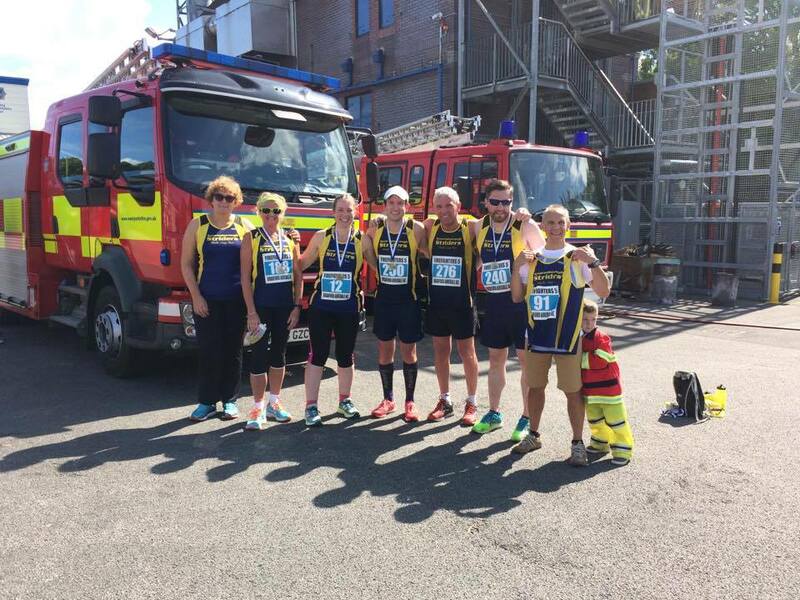 Joining Conrad and Lisa were Paul Heywood (52:59), Georgina Townsend (56:11), Claire Baxter (56:47), Sarah Hill (56:57), Clare McKenzie (57:45), Edna Wood (59:17), Kate James (59:33), Anthony Everitt (01:00:32), Tracy Allison (01:02:34) and a 10k PBing Annika McDonald (01:10:03). A total of 26 Striders attended a parkrun yesterday morning (12/08) to kick start their weekend (or is to enable the guilt free treats later on in the day?!). At Fountains Abbey, Tom Calvert finished in 18 minutes exactly to the 2nd place token and he was followed by Gary Wilkinson (22:34) who completed his 12th run at the National Trust property. Regular FAbbey visitor Derek Calvert (AKA Calvert Snr) clocked 23:08 and was joined by Niamh Falconer (27:53), a PBing Gaynor Downs (31:45) and Bill Kirkpatrick (34:35). Nicola Carter headed across to the East Coast to take on Sewerby parkrun which is based just outside of Bridlington. She was the 4th lady to have her barcode scanned, finishing with a time of 22:25. Up the A1 at Catterick, James Cornforth ran a very well paced 5km to take the 1st place token and record an overall parkrun PB of 17:46. James Wright chased him down (18:17) along with Paul Heywood (23:34) and Edna Wood (27:57). On the Stray at Harrogate, Rob Earl was the first of the Striders into the finish funnel, clocking 19:01. Joining him were Sean Brennan (20:47), Gareth Conkleton (21:18), Mark Taylor (22:44), David Halladay (23:20), Ian Mitchell (24:28), Ralph Weldon (24:38), Anthony Everitt (27:43), Jen Carne (27:48), Rob Charlesworth (27:51), Tracy Allison (28:38), Dawn Richardon (32:33 – volunteer pacer), Claire Baxter (34:17 – pacing), Emma Hodson and Fiona Burniston (both 37:36). 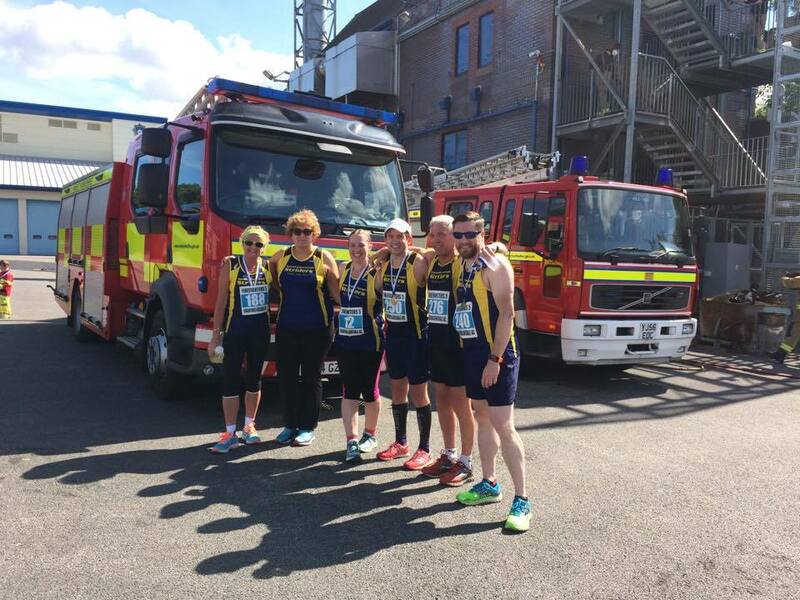 Striders competed in two events today – the Askern 10 Mile and the Firefighters 5 Mile (a club championship event). Guy Close made his way to Askern, based on the A19 between Selby and Doncaster, to take on the Askern 10. In a field of 319, Guy came across the line in a 10 Mile PB of 01:03:53. Along the M62 in Bradford, six Striders lined up at the West Yorkshire Fire Brigade HQ for an undulating (there were some up’s and downs!) 5 miler. James Wright was the first Strider back, completing the course in 31:52. Fresh from his holiday in Tenerife, Ian Mitchell recorded 37:14, beating off competition from Gary Wilkinson and David Halladay who were only separated by 10 seconds with finishing times of 38:28 and 38:38 respectively. Claire Baxter strided up the last hill to cross the line in 46:12 and was followed by Dawn Richardson 5 minutes later (51:13) who completed the Striders line up. Unfortunately Jo Gray had an argument with a car door on arrival and had to pull out of the race. Our Social officers – Clare Rogers and Natalie Hale – are pleased to announced two social events for later in the year. The first is a club curry night at the Spice Merchants in Knaresborough on Saturday 21st October. Full details regarding menu options, etc. will be available next week but for now get the date in your diaries! Jingle Bells, Jingle Bells, Jingle all the way….. The second event is the Striders Christmas party! Yes we are only in August but with the recent weather making it feel more like winter it seems like the appropriate moment to announce the date…..which is Saturday 16th December. The club has provisionally booked 60 places (with the opportunity to book more if higher interest is shown) at the Festive Fever party at the Old Swan Hotel in Harrogate. The cost is £29.00 which includes a welcome drink, a three course meal, tea/coffee, mince pies and a DJ spinning the xmas tunes until late into the night. If you would like to attend, please email Clare (clarerogers87@hotmail.com) and provide a deposit (preferably in cash) of £10 per person by the end of the Striders session on Tuesday 22nd August. As it is the summer holiday season, we understand some members may not be in attendance at the club on or before the 22nd to provide a deposit and therefore a bank transfer option will be available BUT please advise Clare of this requirement via email first so payments can be tracked. PLEASE NOTE THAT ALL DEPOSITS ARE NON REFUNDABLE. The balance for the meal will be due by October. Menu options are below. If you know what you want now, please let Clare know when you email stating you are attending but if not, you will be required to make a final choice by the end of October. Tomorrow evening (Tuesday 18th July) is our latest Time Trial event followed by the Summer BBQ. If you would like to take part in the Time Trial, please arrive earlier then usual to make sure you are registered and have been allocated a number. Registration will be open from 19:10, with the TT starting at 19:35. If you haven’t taken part before, the course is 5km around the local area over two laps. Its a great way to see how your training is paying off and gives you the chance to set a time to beat at the next TT in September. The BBQ is £1 for all of your food. We will have Burgers, Sausages, Salads and other bits and bobs, with vegetarians also catered for. Keep your fingers crossed for good weather – see you all there! After the Burton Leonard 10k (aka Mob Match versus Nidd Valley) on Sunday 16th July, there will be a social gathering in Knaresborough for all Striders and their families along with our friends (or should that be enemies?!) from Nidd Valley. You don’t have to take part in the BL10k to attend- it’s open to all our members. NV have arranged for the Working Men’s Club on Kirkgate (just up the hill from the station) to be available from 15:00 until 19:00 as a private function. A buffet will be available for £3 per head and the bar will be open! Please let us know if you will be attending by emailing us via info@knaresborough-striders.org.uk, messaging us on facebook or adding your name to the sign up sheet on the notice board down at KCC. Make sure you come down to hopefully see us presented with the Mob Match trophy! In preparation for the Burton Leonard 10k (and in turn the MOB MATCH versus Nidd Valley) on Sunday 16th July, a recce walk/jog/run of the course will be held on Friday 7th July starting at 19:30. All Striders are welcome to attend and groups will be formed to suit all needs. Parking is available at Hymas Transport yard (HG3 3SJ). Any cars parked there are left at the owners risk. Please note that due to the club hosting the HDSRL race on Tuesday 20/06/17, the normal Striders session is cancelled. Normal service will resume on Thursday 22/06/17 when we will be joined by our guest coach Emma David. The club is hosting the 4th event of the 2017 HDSRL series on Tuesday 20th June, with the race based on Horsehoe Fields at the rear of Conyngham Hall. If you have volunteered to marshal or help with the food, James Wright will be leading two briefing sessions after training this week (Tuesday 13/06 and Thursday 15/06). Meet in the clubhouse at KCC from 20:30. The briefing should last no longer then 30 minutes. Current marshal position allocations have been sent via email tonight to those who have placed there name down. If you have yet to volunteer but can assist, please come to one of the briefings and you will be allocated a role. This year’s Stampede will be on Sunday 25th June at 11am and I hope we can have a good number of Striders taking part. It’s local, it’s affordable and there’s always a great atmosphere. Last year we had about 17 Striders and it would be great to have even more this time. For anyone who hasn’t done the Stampede before it’s a lovely run through the nature reserve and country trails. 70% is off road and with the last mile downhill to finish at the village hall where BBQ and drinks await what more can you ask for? Entries are via Bookitzone.com or the Staveley village website, staveley-yorks.org.uk where there is a paper entry form which can be completed and passed to me – why not sign up soon if you haven’t already. Lets have a big Striders turnout to support this fantastic local event. Striders are organising the 4th race of the 2017 Harrogate Summer Road League on Tuesday 20th June and we are asking all members to get involved in helping out with the organisation of the event. We are looking for marshals for areas throughout the course and we are also requesting that members supply cakes as part of post race buffet. Please add your name to the sign up sheet at the club house or let James Wright (marshaling) or Nicola Carter (cakes) if you can help out. Your roving reporter has had a busy few weeks but he’s back with a bang…five weeks’ worth of results typed up for your reading pleasure! Sit back, grab a cuppa/sports drink/juice/other type of beverage and take it all in! Way back at the start of April…. We start the round-up with parkrun results from Saturday 8th April and kicking us off is Rob Earls 20:06 at Woodhouse Moor in Leeds. Also in West Yorkshire, three Striders headed to Temple Newsam, with Ralph Weldon leading the way with a PB time of 26:43. Claire Baxter also secured a PB (34:08) and she was joined by Annika McDonald (37:11). Over at Fountains Abbey, which is back to its normal route, four Striders made their debuts at the event with Emma Hodson (35:54) the first of them to cross the line. She was followed by Fiona Burniston (36:00), Laura Bickerdike (36:25) and Emma Milner (36:28). Harrogate parkrun was a Club Championship scoring event, which attracted a large club turnout of 25, with 11 of those securing Personal Bests. 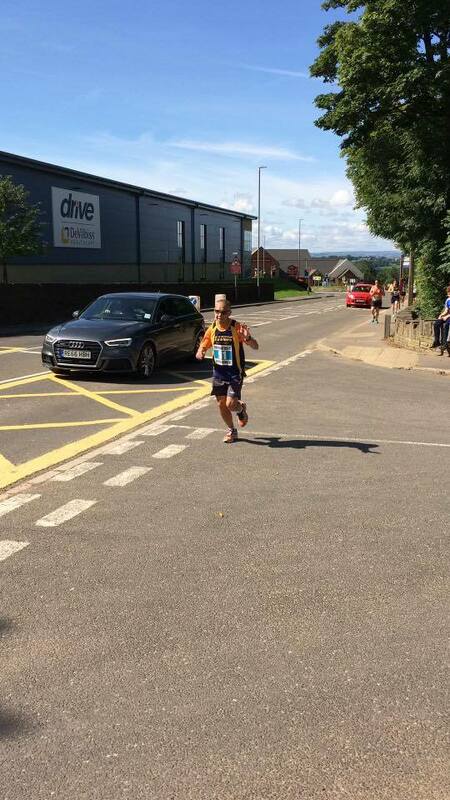 Tom Calvert led home the Blue and Yellow vests, securing a PB of 17:56. The ever improving James Ireland was just under a minute behind in 18:40(PB), followed by Martin Brock (18:47), Dan Foley (20:10), Nicola Carter (20:29), Ian Mitchell (20:38), Sean Brennan (20:57), a PBing Mark Taylor (21:18), Claire Killingworth (24:26), Paul Heywood (25:29), Eric Morley (26:14), David Halladay (26:16), Tony Everitt (27:18), Edna Wood (27:31-PB), Suzy K (27:31-PB), Fiona Slight (27:40-PB), Dawn Richardson (29:32-PB), Tom Burrell (31:15), Anne Cooley (31:20), Gaynor Downs (32:47-PB), Emma Hall (35:16), Danielle Greenwood (35:39-PB), Joanne Sharratt (36:04), Lauren Downs (36:40-PB) and Becky Kershaw (37:09-PB). Graham Yare took on a Marathon double over the weekend, completing an Ultra event on Saturday and the traditional length of 26.2 miles on Sunday. His Saturday event took him into the Lake District where he climbed over 3000m across Loadpot Hill, High Street, Helvellyn, White Side and Plaice Fell to complete the gruelling 42 mile event in 12:34:25. On Sunday he took on the Hardmoors White Horse trail marathon, based at Sutton Bank, completing the course in 06:12:25. The Vale of York 10 Mile event was taken on by Guy Close 01:04:48, David Halladay 01:17:09, Luke Ratcliffe 01:29:15 and Emma Greveson 02:01:14. 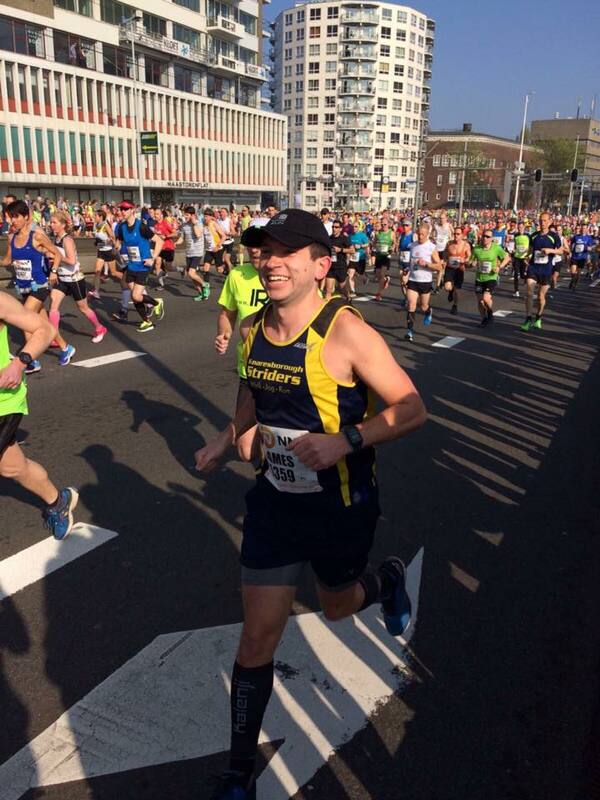 James Wright headed across the North Sea to represent the club at the Rotterdam Marathon. On a fast and flat course, he secured a Personal Best time of 03:14:40. At the Sheffield Half Marathon, Jason Green clocked a Personal Best time of 01:35:59. 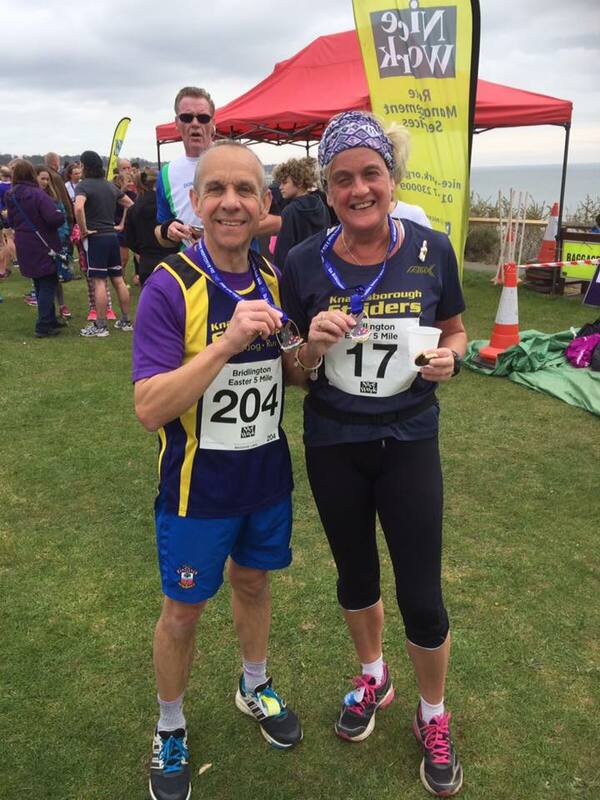 The Easter weekend started for David Halladay and Dawn Richardson with the annual Good Friday 5 mile event at Bridlington. They finished in 38:22 and 48:32 respectively. Moving onto Saturday morning, Striders were represented at 9 different parkruns, with a number of members away for the holidays. 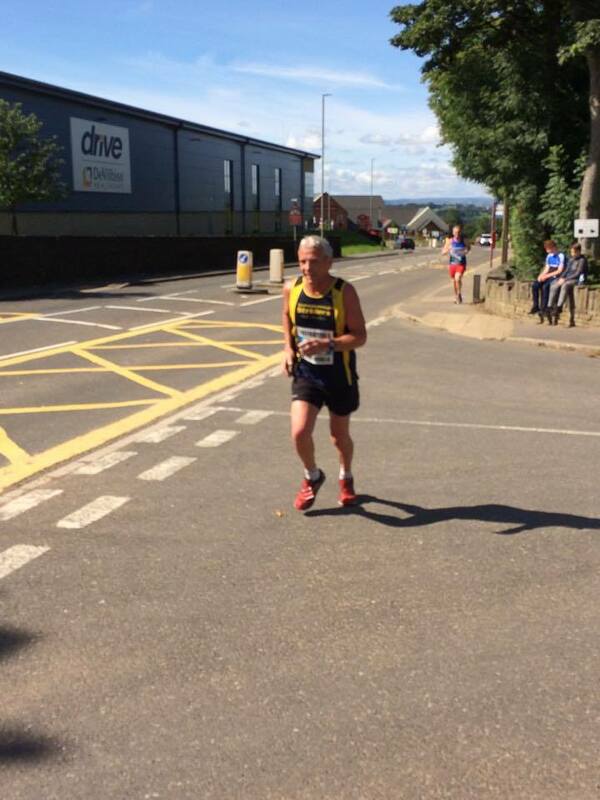 Craig Mitchell visited the Dolgellau event in Wales, clocking a time of 25:05. At Albert Park in Middlesborough, Claire Killingworth recorded 24:18 and at the Bestwood Village (Nottingham), June Graham achieved a time of 31:19. 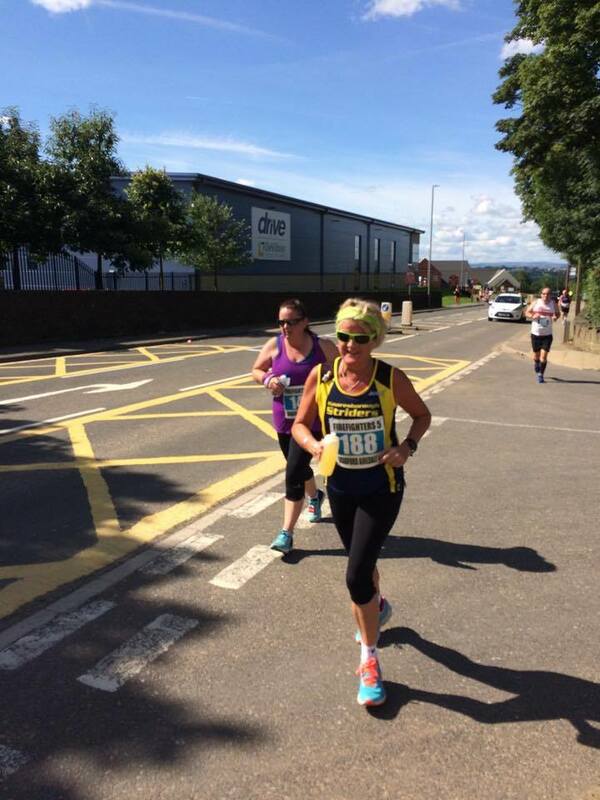 Sima Loweery headed over to West Yorkshire to take on the undulating Huddersfield event, scanning her barcode to record 21:51. Tom Calvert headed East to take on the fantastic route through Dalby Forest. He secured a super speedy time of 17:48. Going North was Nicola Carter who headed up the A1 to the Northallerton event and stopped the timer on 21:35. Wetherby was taken on by James Ireland and Tony Everitt who clocked 18:12 and 27:16 respecitlvy on the grassed based event. The stunning Fountains Abbey was greeted by three Striders – Guy Close (18:24), Fiona Slight (27:38) and Lauren Downs (36:45). Taking on the 3 laps of the Stray for the Harrogate event were James Wright (20:21), Sean Brennan (20:49), Gareth Conkleton (21:47), Derek Calvert (23:05), Ian Mitchell (23:35), Paul Heywood (24:31), Ralph Weldon (25:37), Rob Charlesworth (27:26), Claire Baxter (32:42) and Annika McDonald (35:35). 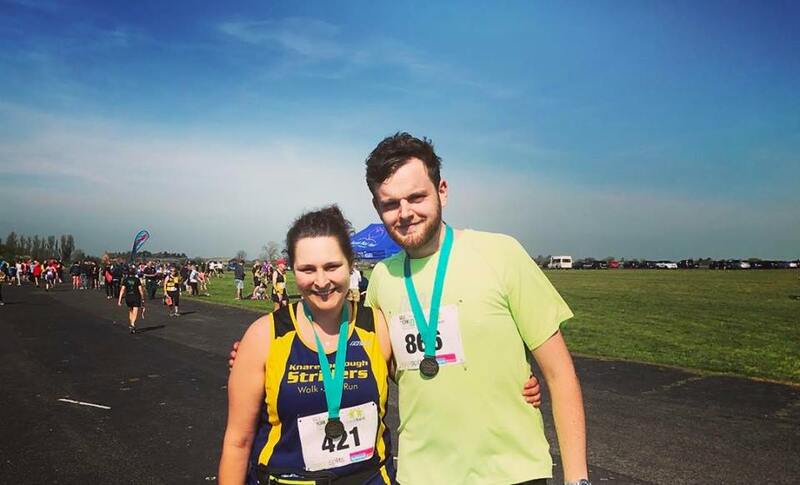 Easter Sunday saw two Striders make the short trip to West Yorkshire for the Guiesley Gallop 10k. Paul Heywood finished in 57:23, with Edna Wood completing the trail course in 01:01:58. 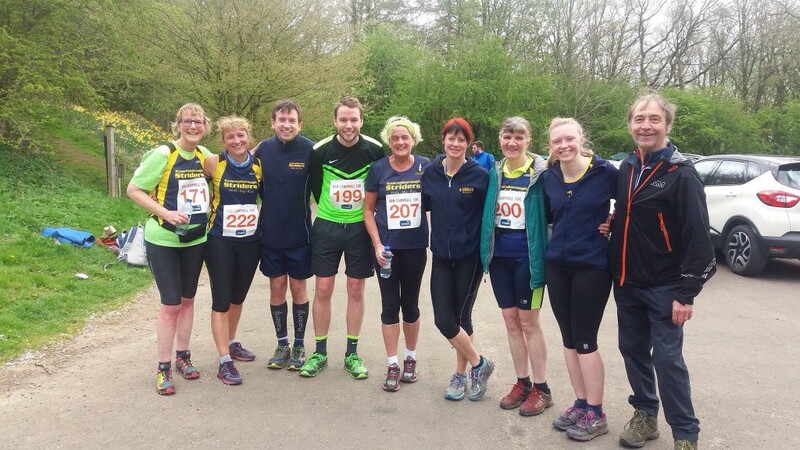 The Easter weekend was completed with Dawn Richardson visiting Helmsley for a multi-terrain 10k. She completed the undulating course in 01:04:17. Still burning off the Easter Eggs…..! On Saturday 22nd the club was represented at four parkruns and one 10k event – the Ben Campbell Memorial race. Rob Earl (20:02), Sean Brennan (20:51), Mark Taylor (21:09 – 50th parkrun), Gareth Conkleton (21:11), Nick Wallen (24:10), Edna Wood (26:34) and David Halladay (26:42). Down the Abbey (Fountains that is!) Tom Calvert dipped under the 18 minute mark to record a time of 17:55. Chasing him down were Niamh Falconer (21:50), Tony Everitt (27:36) and Tracy Allison (30:08). Claire Baxter continued her parkrun tour by visiting Dalby Forest. She completed her 7th parkrun in 32:59. A bit further afield, Sima Lowery took on the Bury St Edmunds course and finished in 21:39. At Sutton Bank near Thirsk, eight Striders took on the very tough Ben Campbell 10k in the latest club championship event. This race is held in memory of former Strider Ben who sadly lost his life in 2015. The course, one of the toughest 10k’s around the area, would have been loved by Ben as he eat up the hills and was up for challenge. Nicola Carter led home the Striders in a time of 47:41. James Wright followed (49:19) and he was followed across the line by Craig Mitchell (55:42), Sue Morley (01:00:56), Claire Killingworth (01:02:09), Kerensa Welsby (01:05:20), Dawn Richardson (01:11:04) and June Graham (01:11:15). Bringing the month to a close…..surely April hasn’t finished already?! The last weekend in April had Striders competing at three parkruns, one 10k, one 20k and a marathon….which was over the Yorkshire Three Peaks! Rob Earl kicked off his weekend with a trip to the Woodhouse Moor parkrun where he completed the undulating course in 20:10. Up North in Durham, Tom Calvert warmed up for the Kirkbymoorside 10k with a parkrun time of 17:52. 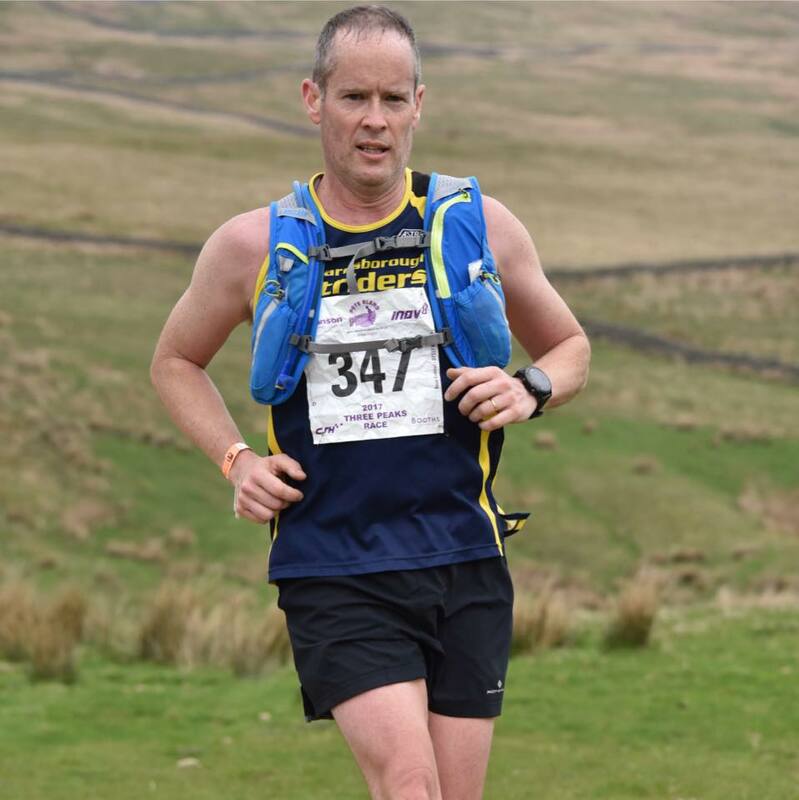 Doing something a bit different on the Saturday was Sean Brennan who decided to take on the Yorkshire Three Peaks Marathon. I don’t really need to tell you how hard this event is – just walking this route in one go is enough to frighten most people but Sean is made of tough stuff and absolutely smashed it. He made his way round in a total time of 04:53:10 – BIG kudos for that Sean! Nicola Carter completed the Reeth 10k in 01:52:45 and on the Sunday at Kirkbymoorside Tom Calvert put in a stunning performance to secure a time of 36:55 at the annual 10k event. Joining him on the hilly course were Niamh Falconer (47:31), Derek Calvert (48:49) and avid racer Dawn Richardson (01:02:10). Four Striders have entered the John Carr Race series for 2017 which consist of three 5km events on consecutive Wedensdays in May. The course is entirely within the vast Yorkshire Water estate at Esholt on a good road surface. The first of the three races was held last Wednesday (3rd May) in pleasant spring conditions. Tom Calvert continued his recent impressive performances with a 5k PB time of 17:13. Guy Close was just over 50 seconds behind (17:56) and was followed by James Wright (19:06) and Edna Wood (26:24). A new month….yes it is May already! A weekend of parkrun results only (unless we have missed any races – apologies if we have) and we start with the first Strider visit to the Heaton event in Manchester. Annika Mcdonald was the Strider in attendance and finished in 35:30. A milestone was reached at Harrogate, with Striders members now having completed a whopping 1500 runs at this event. Guy Close had a time of17:53 recorded for the 2nd consecutive week and he was followed into the finish funnel by Rob Earl (19:36), Ian Mitchell (20:14), a PBing Sean Brennan 20:16, Graham Yare (20:34), Nick Wallen (23:49), Paul Heywood (24:23), Anthony Everitt (27:17) and Kirsty Jones with a Personal Best time of 31:55. The Skipton event welcomed Claire Baxter (33:38) which was her 9th different parkrun since completing our Zero to Hero course in March. The monthly ‘first Saturday of the month’ club visit took five Striders to Nostell Priory near Wakefield. James Wright was the first Strider to finish in front of the main priory house in a time of 19:53. Joining him were Nicola Carter (21:29), Mark Taylor (24:02), Edna Wood (29:00) and Tracy Allison (30:53).